The gentle and comfortable hot water contains a lot of fountain quality in the beautiful skin effect, and moisturizes your bath moisturizing the skin moistly. 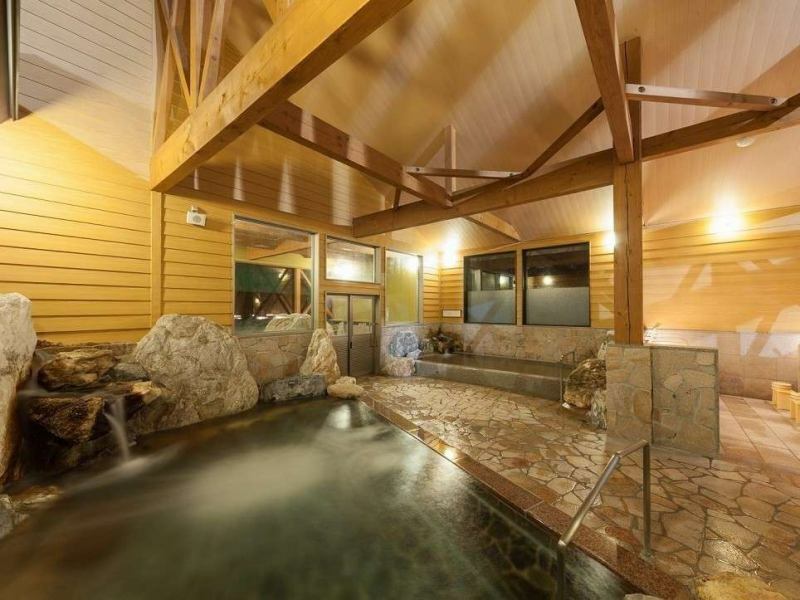 2 bathrooms / 2 outdoor baths (summer open-air bath one tank is source water bath), dry sauna · mist sauna · source with shower. Please enjoy two kinds of hot springs. Alkali hypotonic cold spa "metasilicic acid"
Metasilicic acid is said to be a natural moisturizing ingredient, it promotes metabolism of the skin, it is a beautiful skin ingredient that makes it slippery. It is said that by entering a hot spring containing metasilicic acid, it can be expected to trim ceramides of the skin.If the content of metasilicic acid is 50 mg or more, it is said to be effective for beautiful skin, if it is over 100 mg it is said to be hot water with strong skin-beautifying effect. The facility's "Kagetora no Yu" contains 130 mg of metasilicic acid, so it is Bihada-no-yu spring with confidence that you can say "beautiful Bihada-no-yu" "beautiful waters" with confidence. Chloride fountain hot springs have high heat retention and moisturizing effect. Dissolved substances exceed 10,000 mg / kg, but such hot springs are called "hypertonic". This hypertonicity is a "dense hot spring" which is higher than the concentration of cellular fluids in the body and is one of the few valuable hot springs. The salt fountain covers the body with salt ingredients, so it is difficult for heat to escape and it is called "hot water" or "warming hot water".It is a hot spring that is difficult to cool down, and the body is always warm.The chloride spring also has a moisturizing effect due to this coating action. It is a well which has been dug out in the direction of the mountain a little more than the Kawaratei. Relaxing hot water is very popular. Inner bath (2 baths) + outdoor bath The bath is using metasilicic acid water. Hanging water · source · shower · mist sauna also uses this hot water. Please enjoy hot water like natural lotion. "Metasilicic acid hot water" is an alkaline hot spring of pH 9.5. The alkaline hot spring has a function to decompose the skin's skin, and it is a typical "beautiful hot water" that creates slippery & whitening.It may be said to be "cleansing hot water". If it is pH 7.5 or more it will be made into a hot water for a beautiful woman, and if it exceeds 9.0, it will clearly understand the feeling of slippery.pH 9.5 is the top class in Niigata Prefecture, and there are few Tsurtsuru hot springs nationwide. Let's make egg skin with this "cleansing hot water" "skin moisturizing hot water". "Metasilicic acid hot water", from the work of decomposing the horny skin of the skin, creates smooth skin & whitening effect of the skin. Since this is a function like soap, it is not necessary to use body soap in this hot spring. If you wash your body, do not scrape the gossyping body with a towel, lather the body soap by hand, and wash your body with the hands as it is. If you have the symptoms below, please refrain from bathing. I dig a hot spring newly in 2017! We are enjoying a new hot spring with open-air bath from December. ※The water bath of summer only is a cold spa of conventional metasilicic acid. The chloride fountain also has a bactericidal effect, and it exerts its effect on cuts. Also, if you have more than 2 digits of "metaboric acid", that is, if it contains 10 mg / kg or more, it also has bactericidal effect, but "Chloride spring water" is about 80 mg / kg.It is effective for pimples, etc. It will care for your skin. Active tuberculosis, advanced malignancy or severe anemia etc. 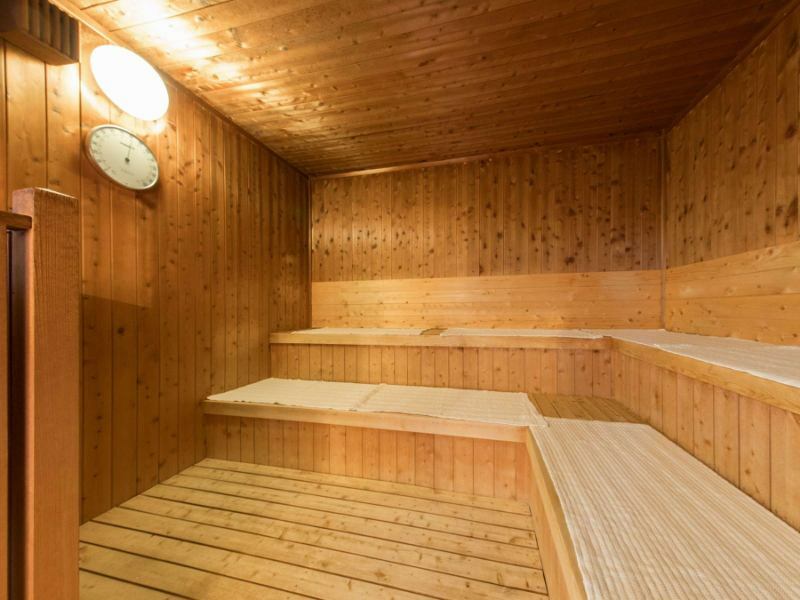 The sauna is operated by electricity. Please do not hang water or heat source.It may cause a malfunction. It is a mist sauna using hot water of the same "metasilicic acid" as the inner bath. 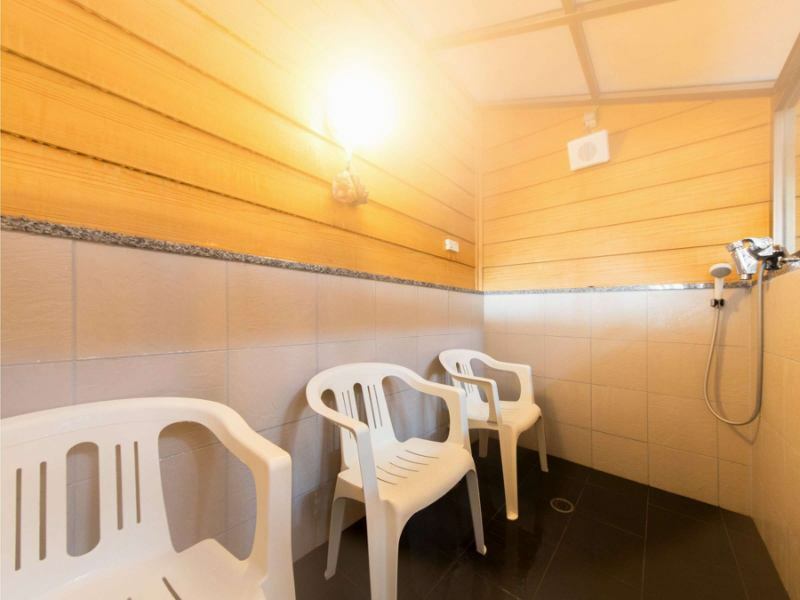 Even those who are not good at hot dry sauna can enjoy it relaxedly. Please moisten with natural lotion from the tip of hair to the tip of your feet. Bathing time of accommodation is until 23:00. After 23 o'clock, it will be cleaning time. You can take a bath from 6 o'clock in the morning. Hot spring tax, adults 150 yen (child free) will be charged separately.